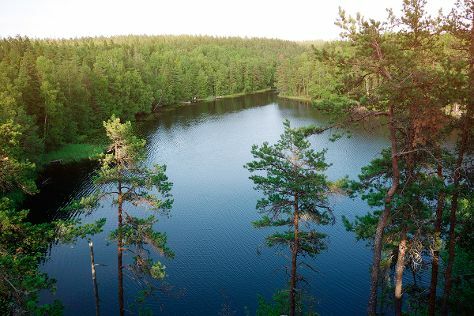 Venture out of the city with trips to Old Rauma (in Rauma) and Nuuksio National Park (in Espoo). There's lots more to do: step into the grandiose world of Turku Castle, let little ones run wild at Adventure Park, wander the streets of Naantali Old Town, and take in the architecture and atmosphere at Naantali Church. To see traveler tips, maps, other places to visit, and more tourist information, refer to the Turku trip planner . In April, daytime highs in Turku are 9°C, while nighttime lows are -1°C. Finish your sightseeing early on the 8th (Mon) to allow enough time to travel back home.